What should I do after 10th to become an Advocate? Which subjects should I choose? How to do LLB from DU? Which are the good coaching institutes? Institutes which are affiliated to LLB correspondence course in Kerala? How to study in Law if i am working in Punjab? Can I do LLB course if I am 28 years old with HSSC passed? Courses of General Law graduation? Duration and fee structure? Re: Which are the best LLB institutes in NCR/Delhi? Below given Institute are given regular courses in LLB .The fees structure are depends on college .Fees are varies from college by college .So more details of fees , you should contact college authority .Govt college have fees structure of low price but private college fees are too high. 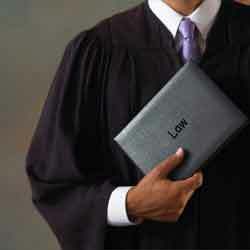 This is the best institute in delhi for LLB. * Chanderprabhu Jain College of Higher Studies. * CPJ College Of Higher Studies & School. Re: Which are the best LLB ?